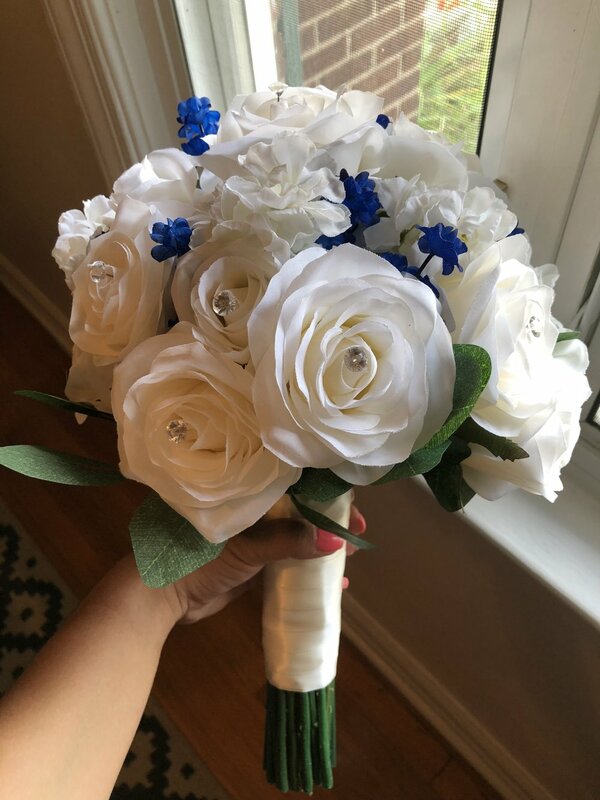 Today I wanted to give you all a great example of utilizing your colors to design your silk wedding flower bouquets in a variety of styles, while keeping the look cohesive. This bride's flower colors were red and white: a deep wine red. She loved red Roses and white Calla Lilies, but wanted the bridal bouquet to stand out from the rest. She also wanted her maid-of-honor to carry a red and white bouquet that was a little different as well. Here's a shot of the bridal bouquet; Red Roses, White Roses, Wine Red Calla Lilies, and White Calla Lilies. She chose to finish off the look with a matching satin ribbon in wine red and a rhinestone overlay for some sparkle and shine to match the white flowers. The bridesmaid bouquet on the left features white Roses and red Calla Lilies, while the Maid-of-honor bouquet on the right showcases the beautiful wine red Roses and Callas we saw in the bridal bouquet. 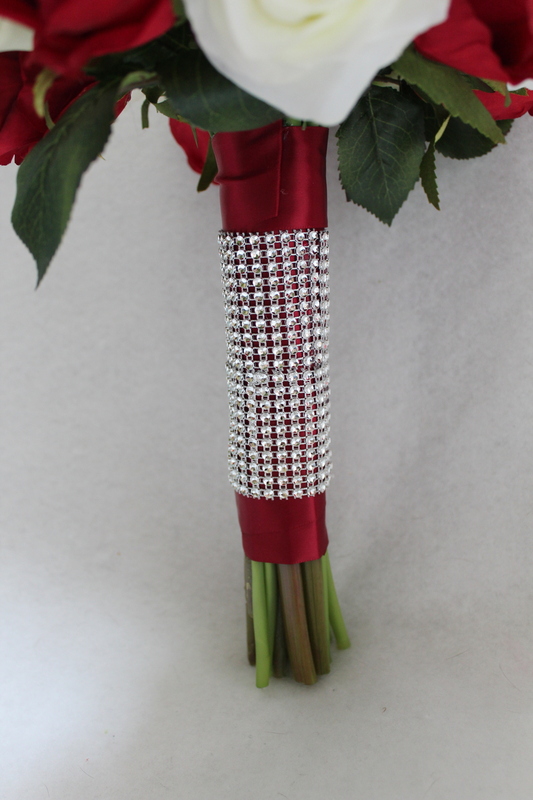 Each style is finished off with complementary ribbon and smaller bands of rhinestone wrapped on the ends of the ribbon. We kept things very simple for the boutonnieres and for the corsages we used roses and a hint of hydrangea to add a little feminine flair. 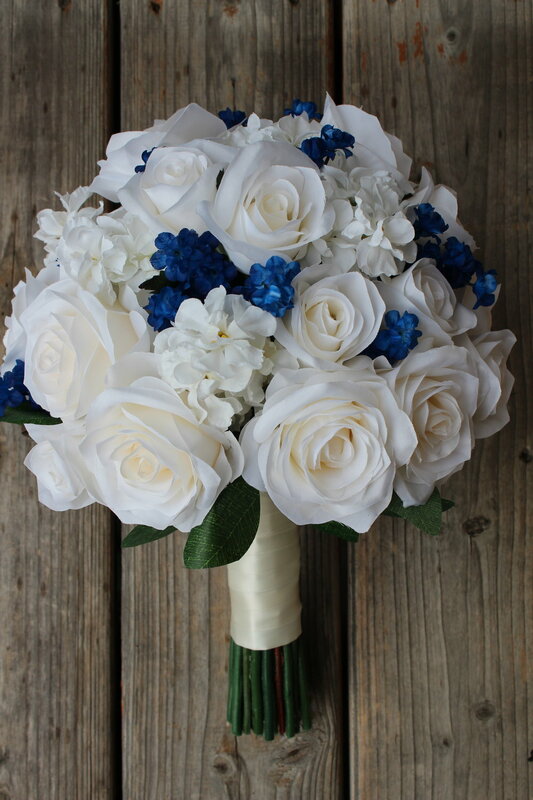 If you're curious about how to incorporate varying colors or styles into your silk wedding flowers, or if you are looking for quality red and white flowers, contact me today, a Minneapolis based silk florist, for a free quote!